Madison House seniors benefit greatly from regular participation in activities. Having a variety of events available increases happiness, self-worth, develops friendships, physically strengthens, and preserves both cognitive and physical health during the aging process. 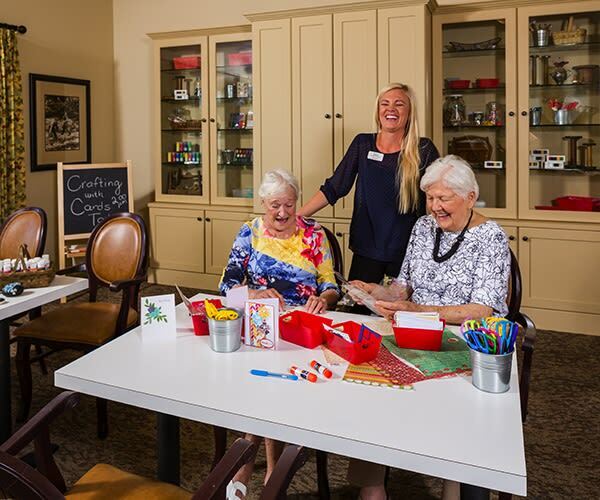 Our residents are offered a variety of activities designed around their interests such as: Lunch trips out, Casino trips, The Madison House Drama Club, Men’s Breakfast, Happy Hour and many others. Whether they join our Fitness Classes, Live Entertainment, or Movie Matinee, our residents enhance their aging journey by remaining active. At Madison House, we love to have family visit and participate in events, so come visit our community for yourself to see what is happening today. At Madison House we often host presentations by local health care providers and specialists on a wide variety of topics and opportunities for our residents to have fun or learn. Look here for updates on any events that we are having.